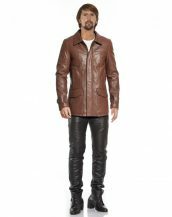 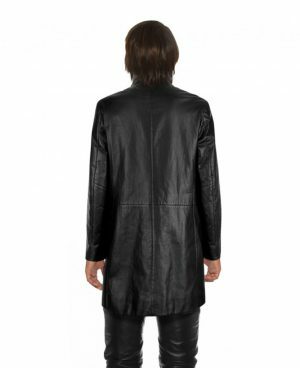 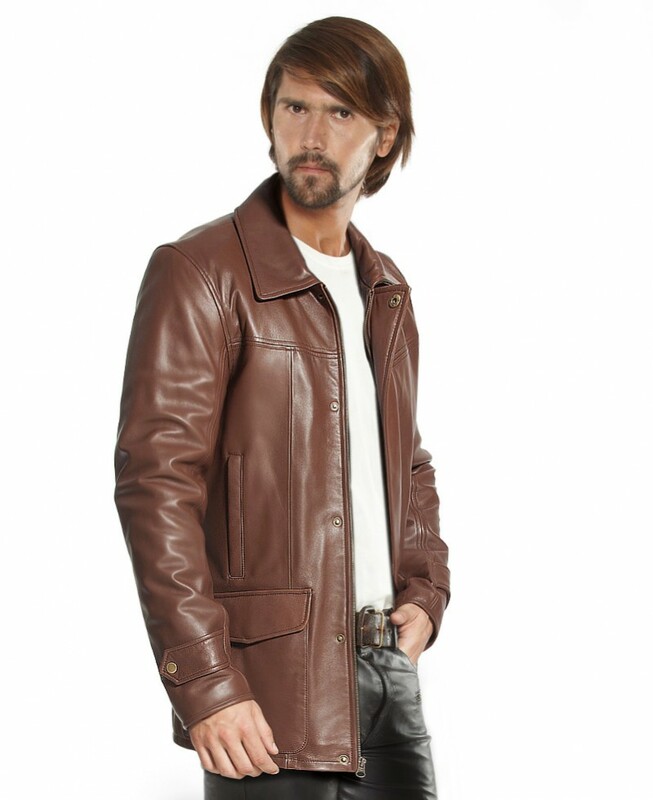 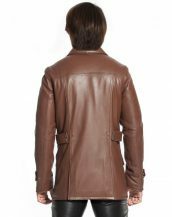 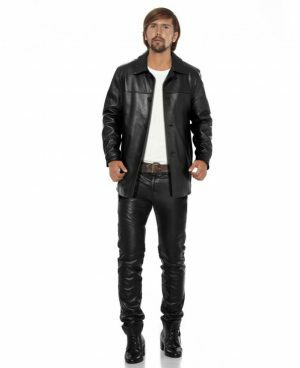 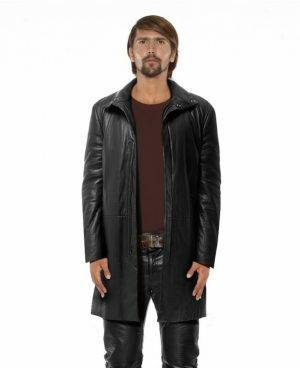 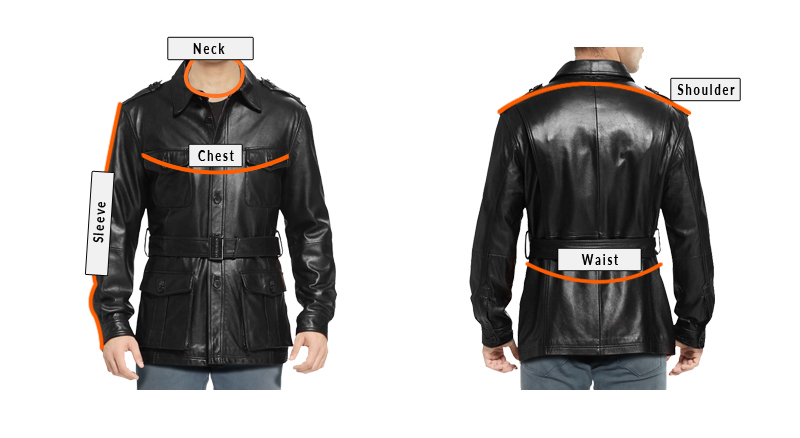 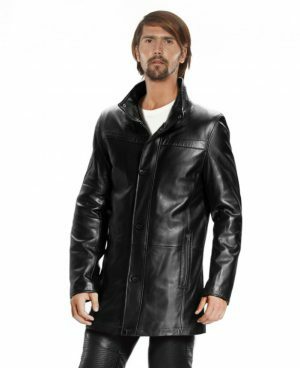 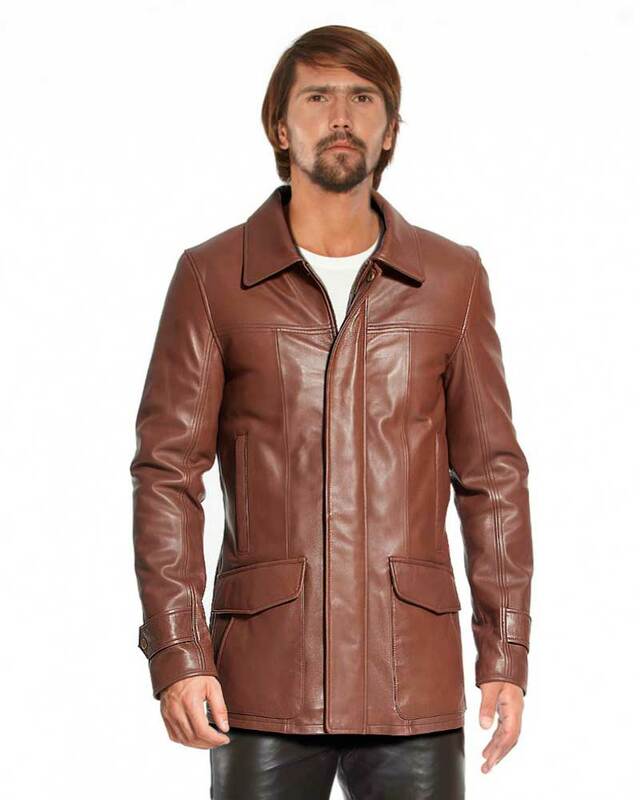 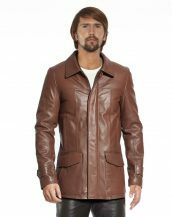 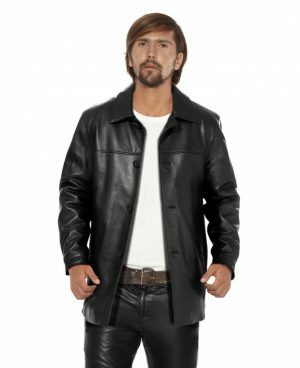 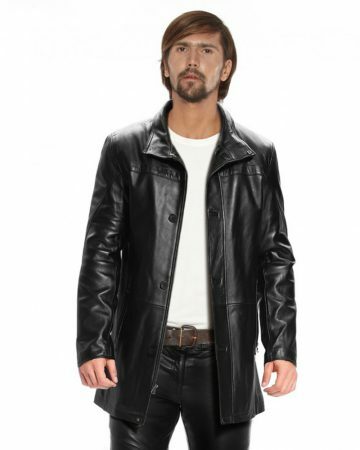 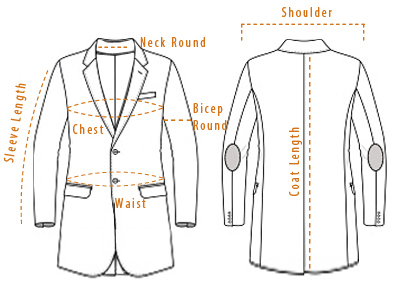 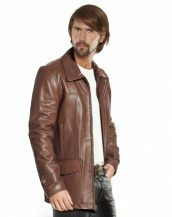 LeatherRight this bespoke leather coat available to you at a price that is value for money. 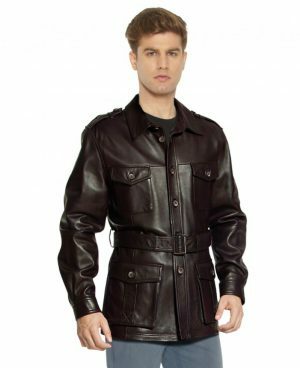 Lending comfort fit, it carries features like pointed collar embedded with front zip fastening, hidden button placket and adjustable buttoned tabs fixed at the back waist. 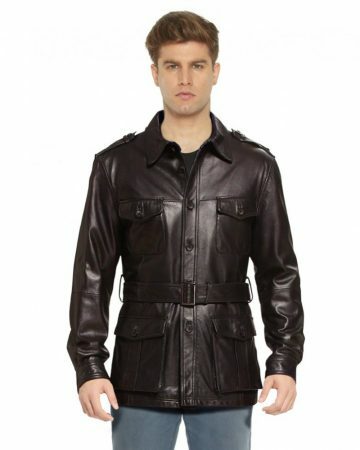 Undeniably cool, it will make for a worthy addition to your wardrobe all winter long.